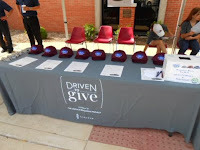 Lincoln and its dealers have launched a new program called Driven To Give, combining the successful Drive Smart For Your School and Drive Smart For A Cause programs. Driven To Give is designed to help raise much needed funding for local community groups and nonprofit organizations. To date, Lincoln dealerships and local communities across the United States have helped raised more than $1.5 million for educational or charitable organizations. Heiser Ford Lincoln is bringing Lincoln’s Driven To Give program to the community in an effort to raise up to $6,000 for the Dominican High School Girls Basketball Team. For every person who takes the wheel and test-drives an eligible Lincoln vehicle at Dominican High School on Saturday, December 7th, Heiser Ford Lincoln and Lincoln Motor Company will donate $20 to the Dominican High School Girls Basketball Team. The funds will go to support the team this season.